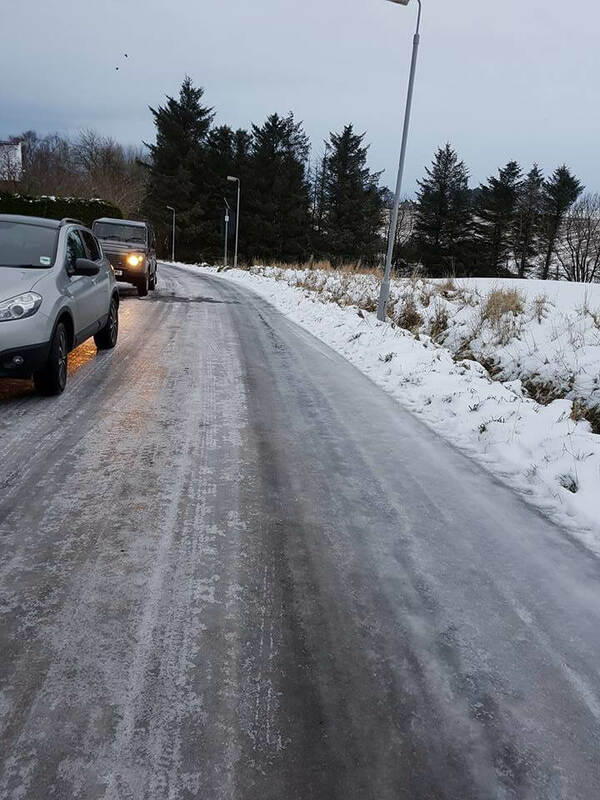 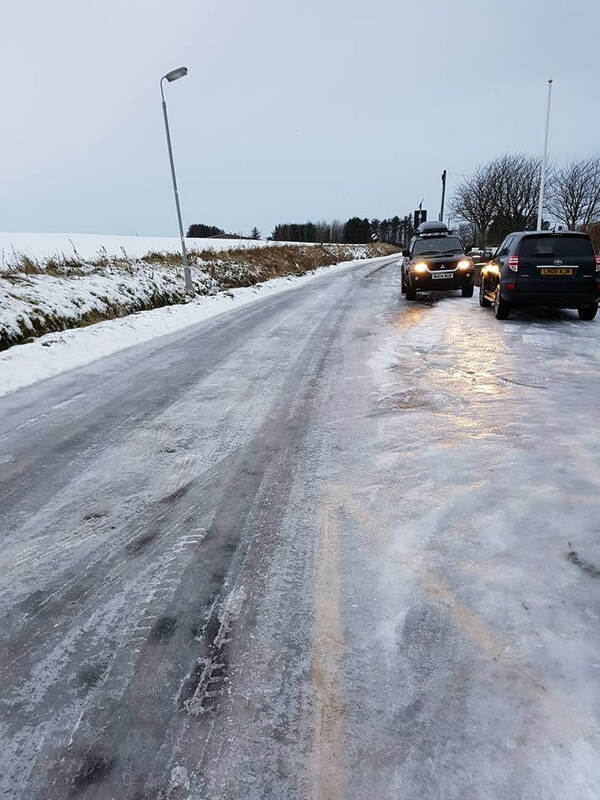 We’ve had lots of complaints about ice around Turriff today. 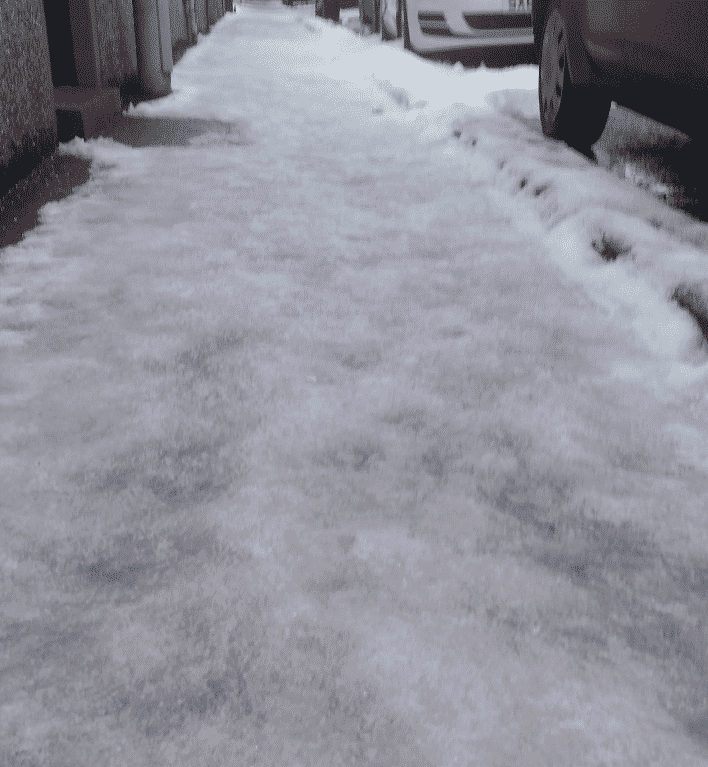 John Lionel contacted us from Balmellie Street, where he was unable to walk on the pavement becuase it was sheet ice. 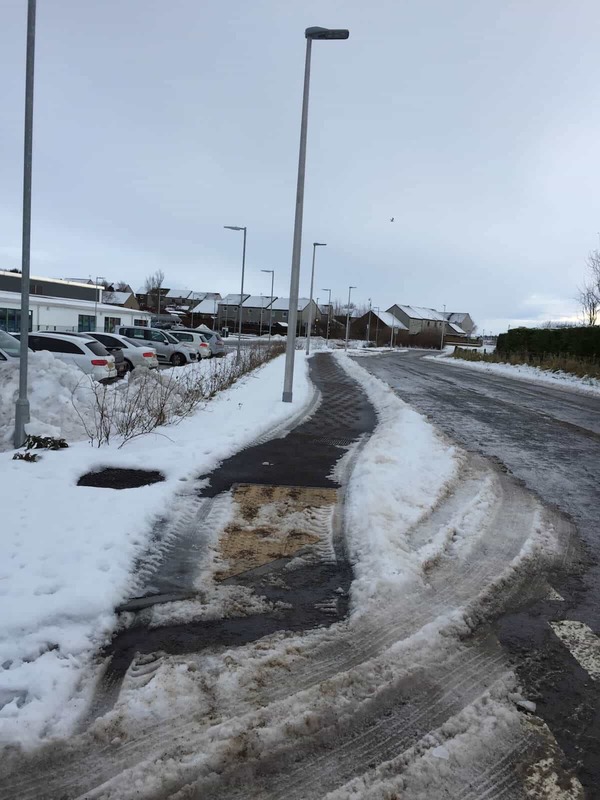 The Aberdeenshire Council winter plan for Turriff shows Balmellie Street as one of the streets in Turriff that should have the pavements gritted in a morning but as you can see this does not appear to have happened today. 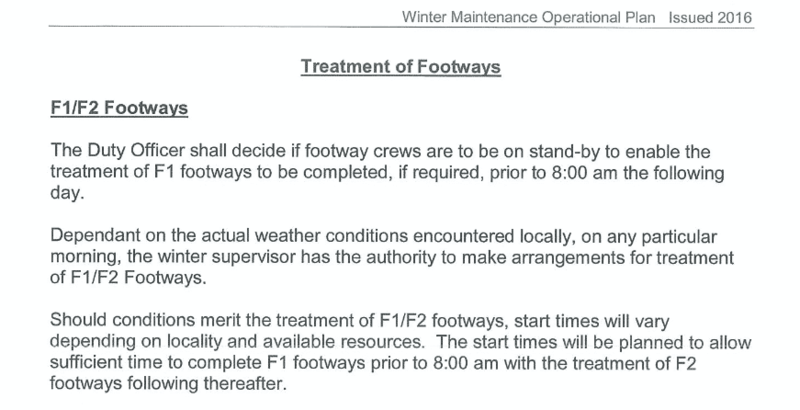 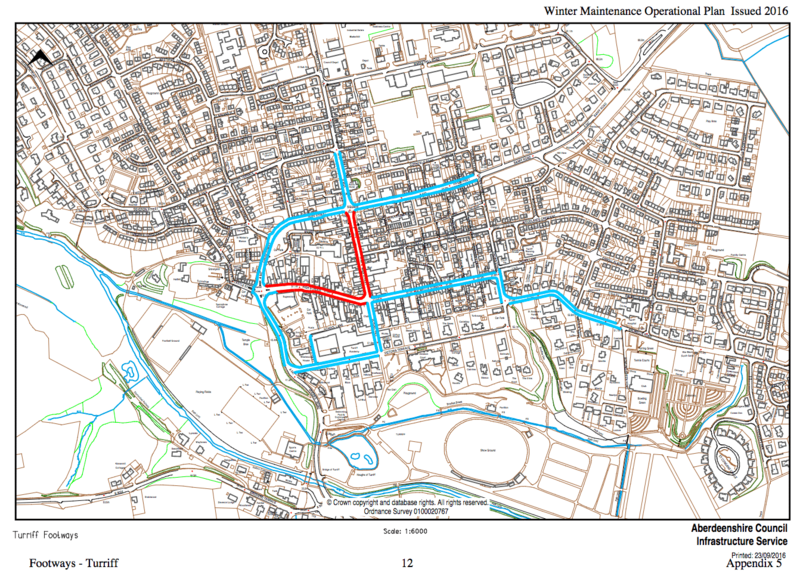 According to Aberdeenshire Council winter gritting plan below, Balmellie Street is a F2 priority and should have the foot paths gritted in a morning after High Street and Main Street have been completed. 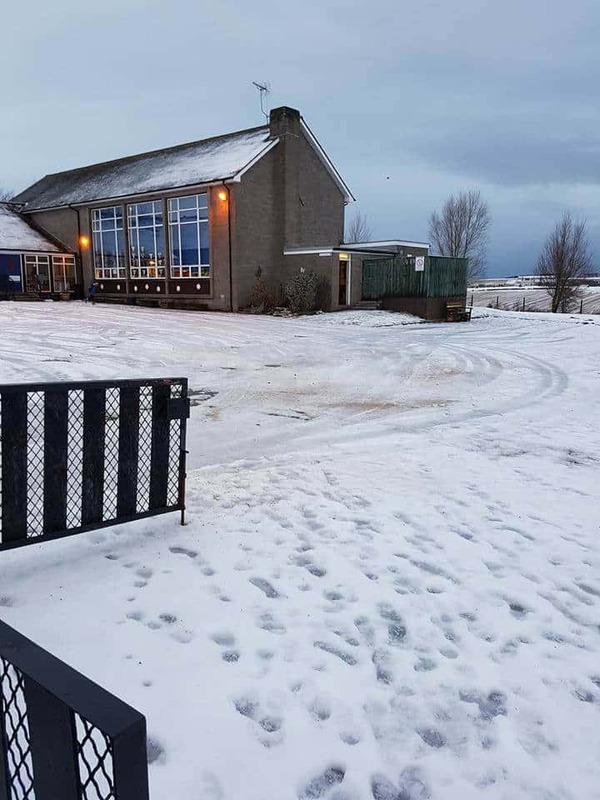 Parents from Fintry School contacted us to say that they were having to grit the road, the bus stop, pathways and school yard theirselves this morning. 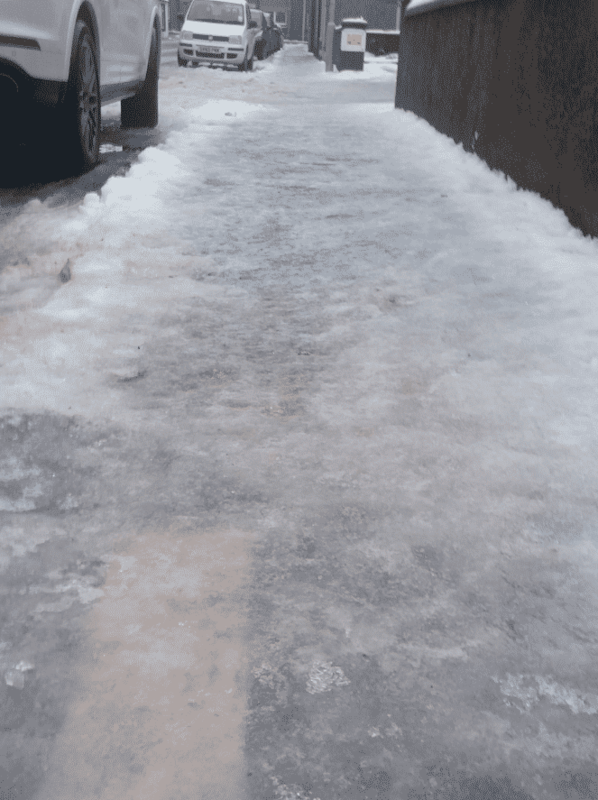 The school yard was likened to a skating rink. 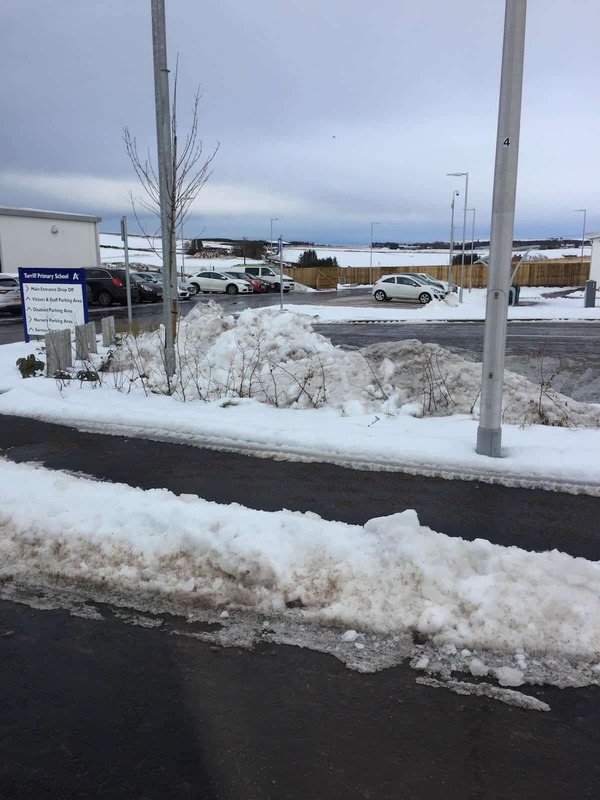 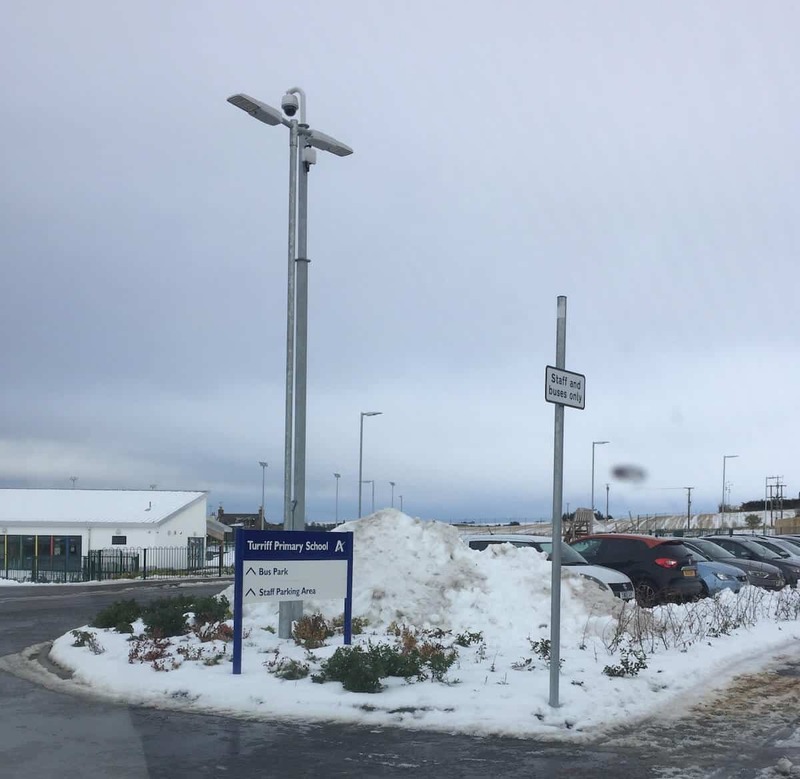 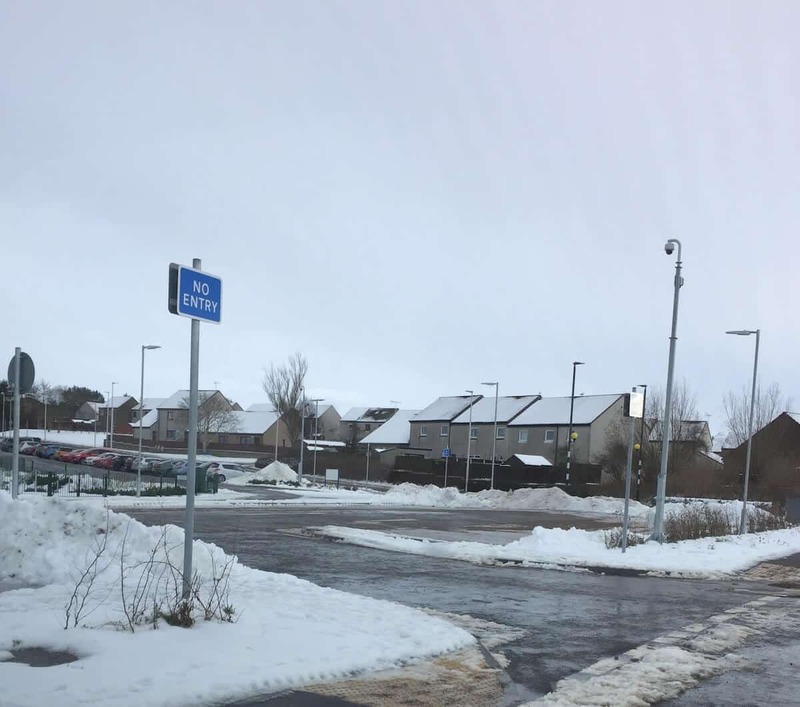 Meanwhile at Turriff Primary School a team of council workers have been working diligently to shovel snow off the pavements before gritting them and have spent several hours clearing the school carpark, bus park, staff car park and access roads of snow and piling it up. 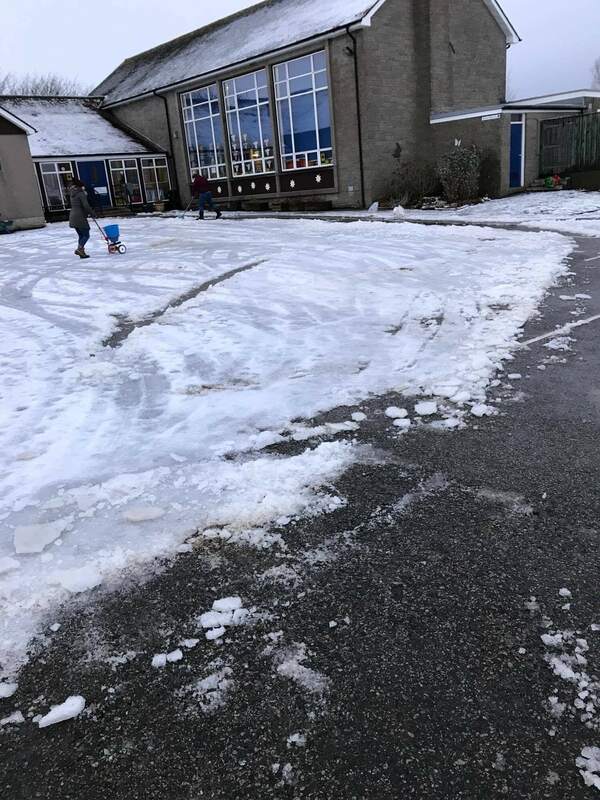 Have any other schools locally had as much snow clearing as Turriff Primary School or are they all parents DIY like Fintry? 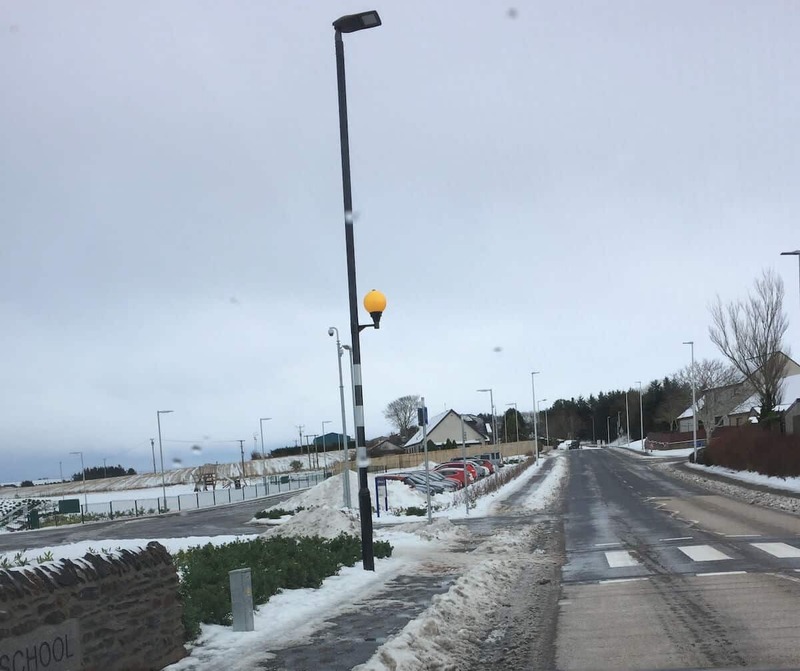 Let us know either in the comments below, on Facebook or via the website.